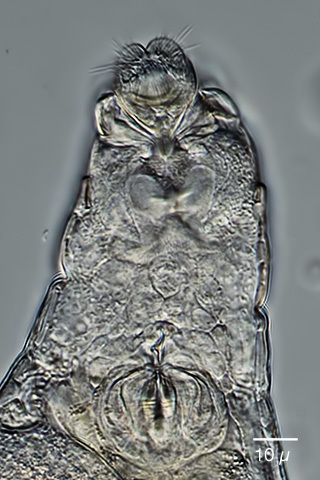 Rotifers of Germany and adjoining countries: Habrotrocha thienemanni Hauer 1924, Habrotrochidae/ Bdelloidea/ Rotifera / Syndermata. 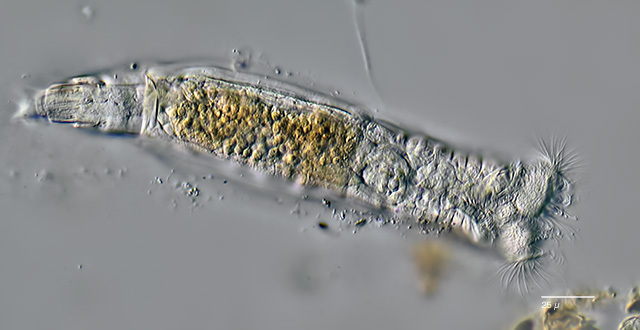 Habrotrocha thienemanni, a special inhabitant of mini-ponds in tree holes, where bacteria feeding on dead leaves cause distinctly perceptible H2S-enrichment of the water (25.3.2013). 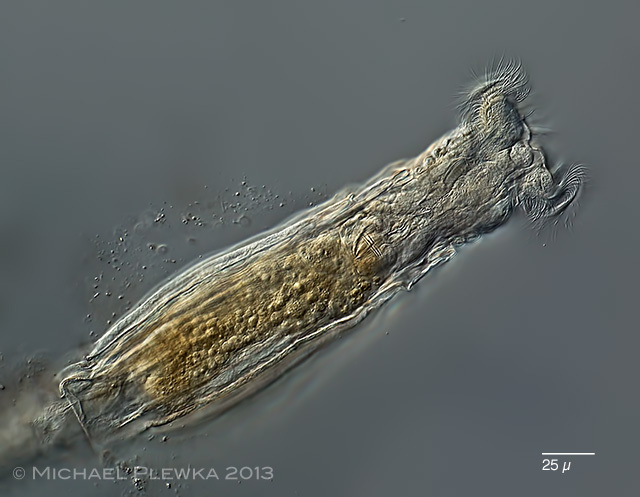 Up to now 4 tree holes have been examined, each containing this and only this rotifer species. 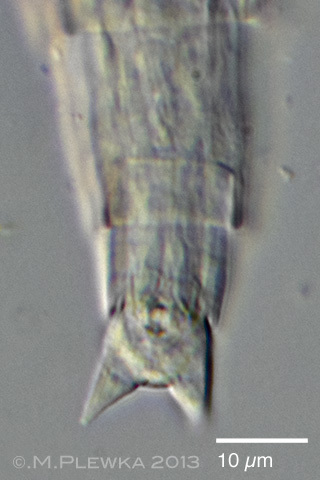 Habrotrocha thienemanni, specimen from treehole no.4 (2.6.2013), focus plane on the upper lip (see crop below). The food pellets are yellowish. 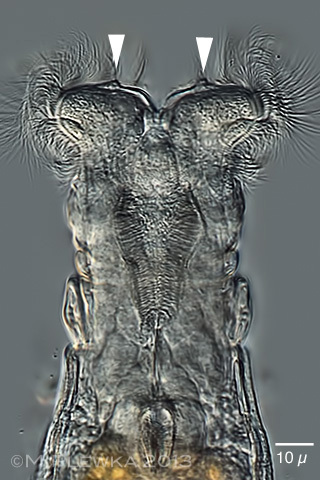 H. thienemanni is a bacteriophagous animal. 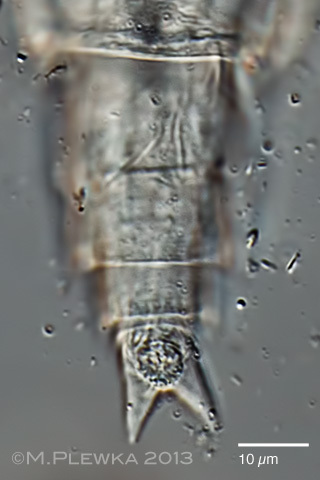 Habrotrocha thienemanni, creeping animal, lateral view. 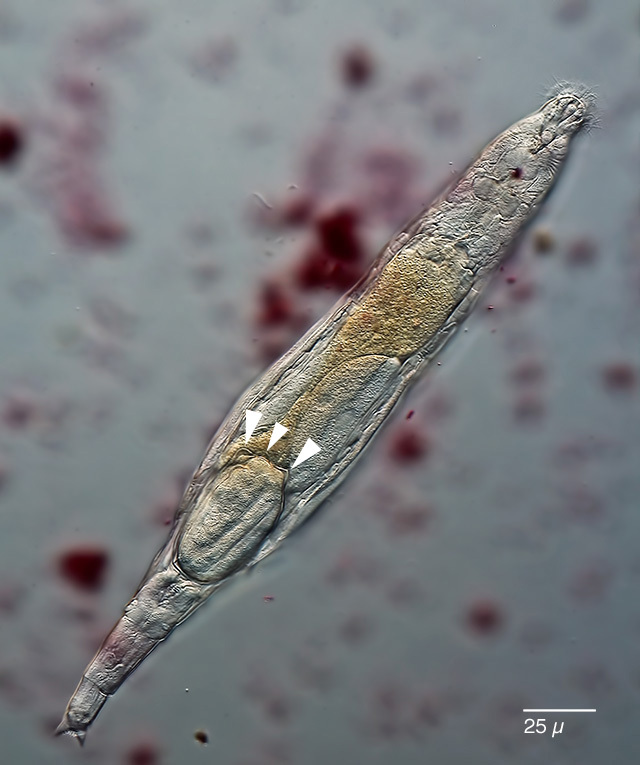 While creeping or "testing" the environment the most anterior part of the head is the rostrum (Ro) with the cilia (Ci). The cilia are in permanent movement. 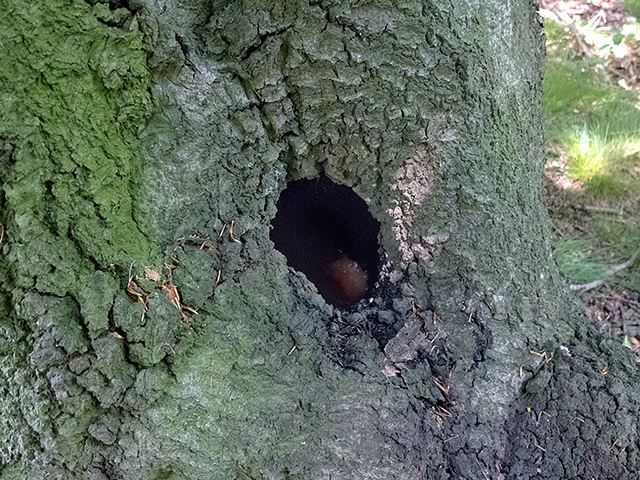 They may have either sensory function (chemical? tactile?) and/ or they may be used for attachment during the leech-like movement. 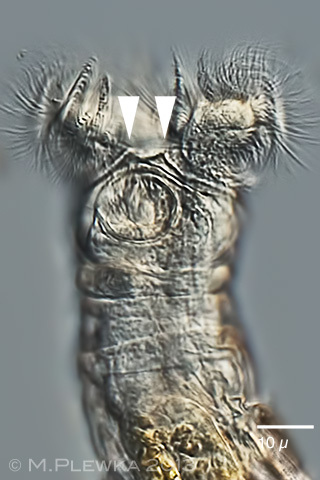 Also visible is the dorsal antenna (DA). The corona with the trochal discs (TD) is retracted in this phase of movement. Mx= Mastax with trophi. 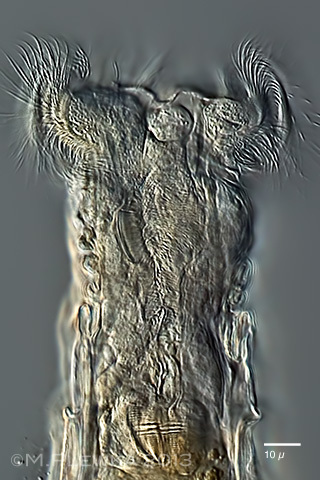 Habrotrocha thienemanni, 3 aspects of the head while whirling in different focus planes. Upper left: crop from above image, focus plane on the upper lip (arrowheads). Upper right: focus plane on the bridge between the trochal discs. 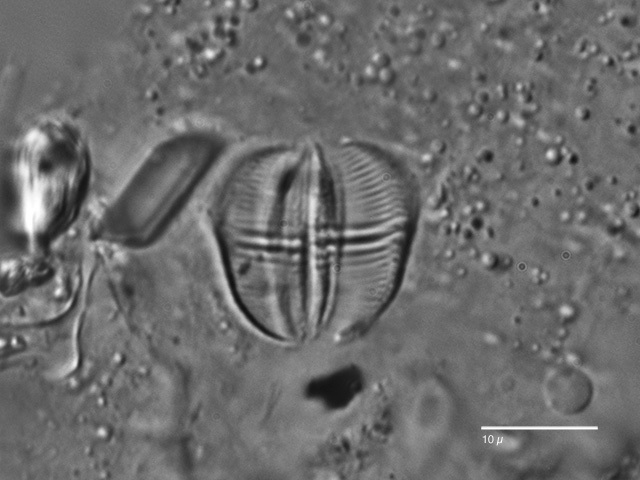 Lower left: focus on the conspicuous papillae of the trochal discs. 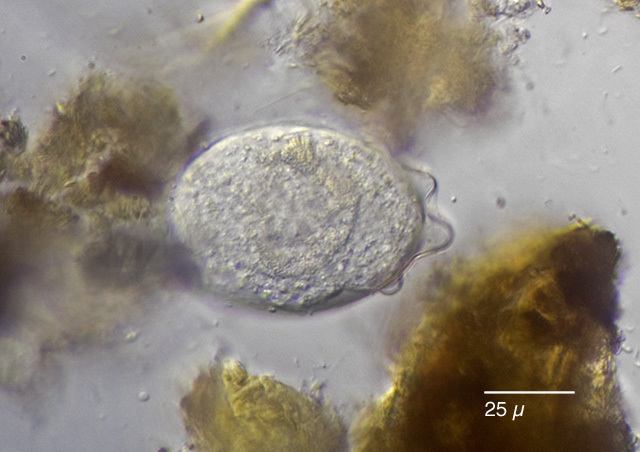 Lower right: rostrum with two-lobed lamella. 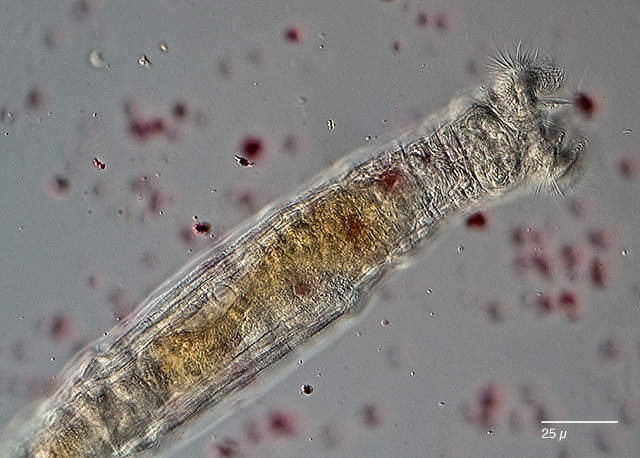 Habrotrocha thienemanni is a species which accomplishes a change of location by swimming instead of creeping (4.1.2013). 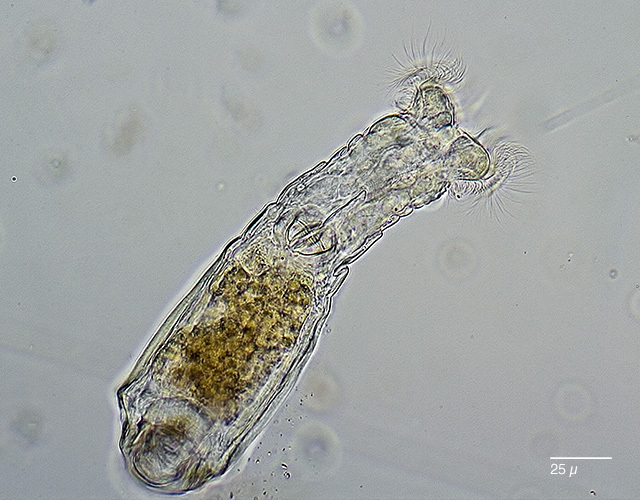 Habrotrocha thienemanni, another specimen swimming (5.1.2013). The red particles are carmine to test for a lumen in the stomach (>>> no lumen visible). 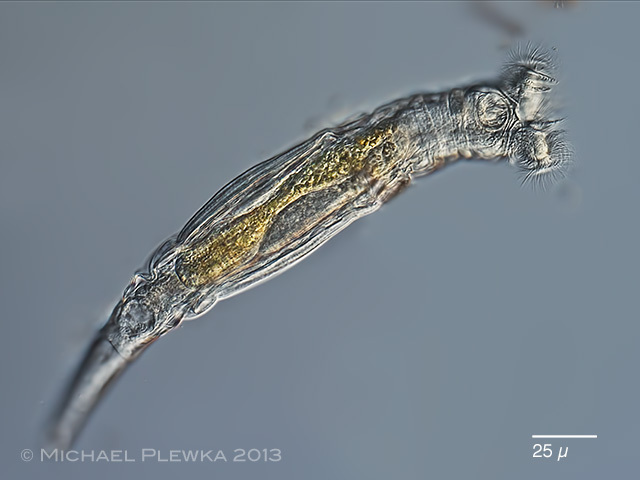 Habrotrocha thienemanni, left image: spurs from specimen 4.1.2013, right image: spurs and toes/ adhesive disc? from specimen (10.3.2013). 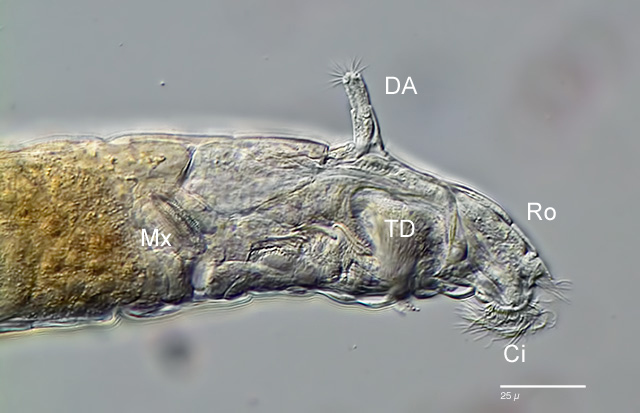 Similar species: Because of the occurence in a very special habitat H. thienemanni may be confused with Habrotrocha tripus, which also occurs in treeholes, but the former has a two-lobed upper lip, the dental formula is 2+1/2+1 and the toes are different.